The never ending pile of paper was driving me crazy! You move the pile to wipe the counter, which ends up creating a new pile when the old one catches more paper clutter. Papers are thin so they don’t necessarily stand out until they become a pile. By then, it’s a problem! This led to a search for the best paper organizer to clear the counter clutter. I’ve ended up with three go-to tools to tame the paper beast over the years. These tools have helped me reclaim the corner of the counter…win! I’m going to share what three paper organizer tools I use and then I’ll share how I use them (and a picture). Hope this helps give you some ideas if you’re also looking for a paper organizer to clear the counter clutter! I decided on this organizer tool to store important paperwork because there’s no lid to deal with, it’s ideal for envelope sizes, it fits in a cabinet, and the folders are easily labeled. I have two. One just like the image above and another mesh metal one that I got from Target. In the mesh metal one, I file all important tax documents. In the black one, I file important papers that I need throughout the year, but not necessarily for taxes. Things like current insurance policies and medical receipts. The basket is the real trick to preventing the counter clutter. If I have something that needs to be filed, but I’m pushed for time or in the middle of something else, it goes in the basket to file on the weekend. The basket essentially becomes the catch all spot, but it becomes the designated catch all spot instead of random piles on the counter. These are things that I want to have handy throughout the year for quick reference. School paperwork, which could be an article by itself, is always a work in progress. My goal is to keep one notebook for PK-2 and another for 3-5 school years with a few papers and photos of special projects too big to go in the notebook. I struggle with this and I realize it’s me hanging on, not my child! Our dining room has two pieces of furniture. The table and a matching buffet table. The buffet table is where our paperwork system is set up. Here’s a picture of the tools we use (1) hanging file folders (2) basket and (3) three ring binders in the buffet table. What about “to do” papers or bills, or anything that you can’t file because it requires some type of action? We don’t have a lot of those because we automate every bill possible. I highly recommend using automation whenever possible. It prevents late fees and you can still monitor everything by checking your online statements. For school papers, I go through my son’s backpack every afternoon and sign papers or send money for different things that come up. The only paper that ends up staying in our home are any papers to keep (in the three ring binder) or the weekly newsletter that contains dates and other information (on the fridge with a magnet). What about important papers to keep for several years? Our most recent tax returns and mortgage paperwork is in a desk drawer. We’re hanging on to those until it’s safe to shred them according to paper retention guidelines. 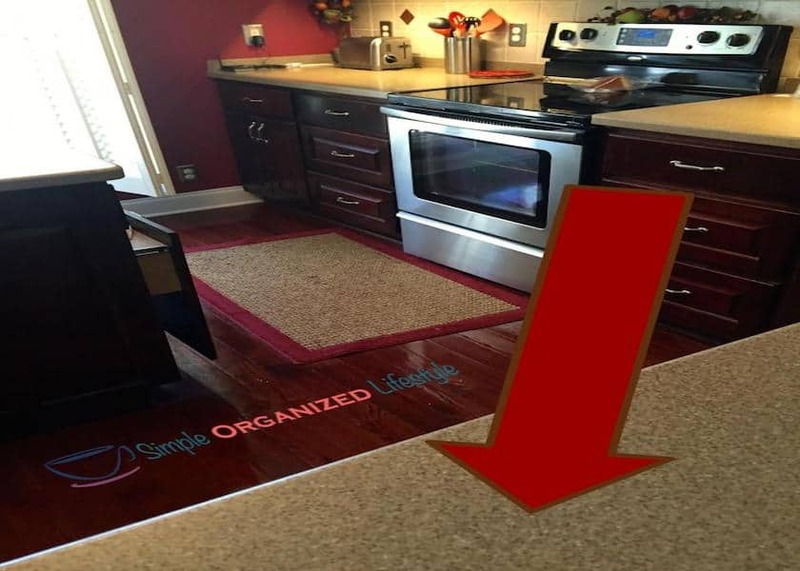 After more discussion, I got some good ideas from them and wanted to share because we all have different organizing methods and spaces in our homes. 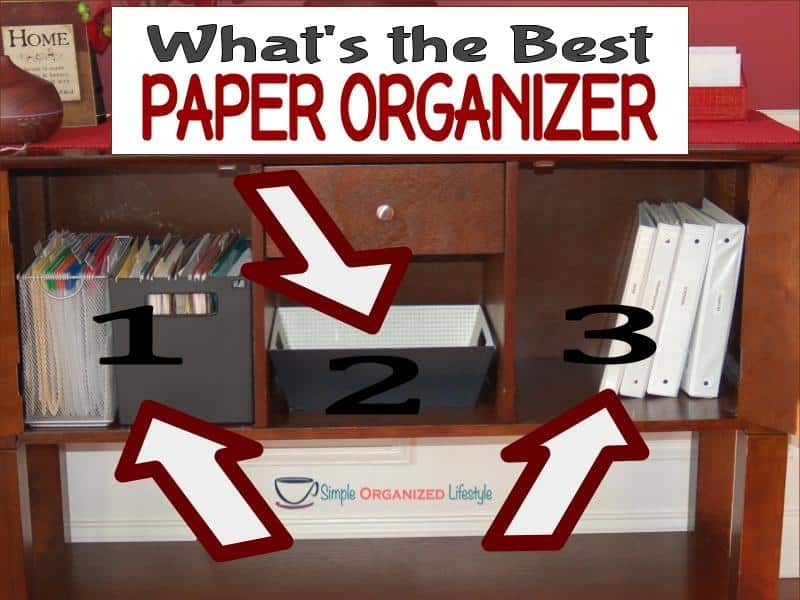 So, in no particular order, are three honorable mentions for different tools for paper organizers to clear the counter clutter. Also, one of my friends uses a cascading wall organizer to collect her important tax documents and I love it! I’m going to get this for work because I have some file folders that I constantly use for reference and when I travel. It expands if you want to hang it and then folds up too to save space! These eliminate the need for hanging files and they are easily portable. A great alternative to an open hanging file folder box. Please share your favorite paper organizer tool, or anything you want to try! 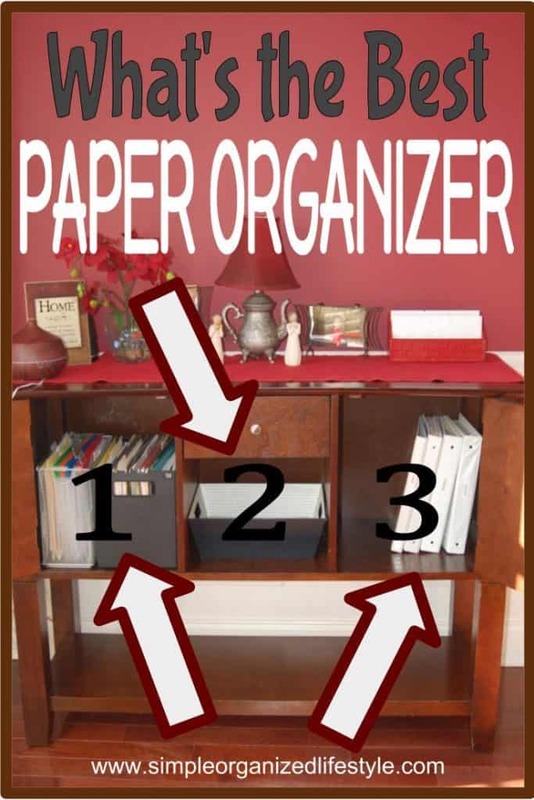 Hope this gave you some ideas to keep papers organized and reclaim your counter space! ***Helpful article by Clark Howard on opting out of junk mail.